Erez Zadok is a freelance cartoonist, comics artist, illustrator and character designer living in Netanya, Israel. 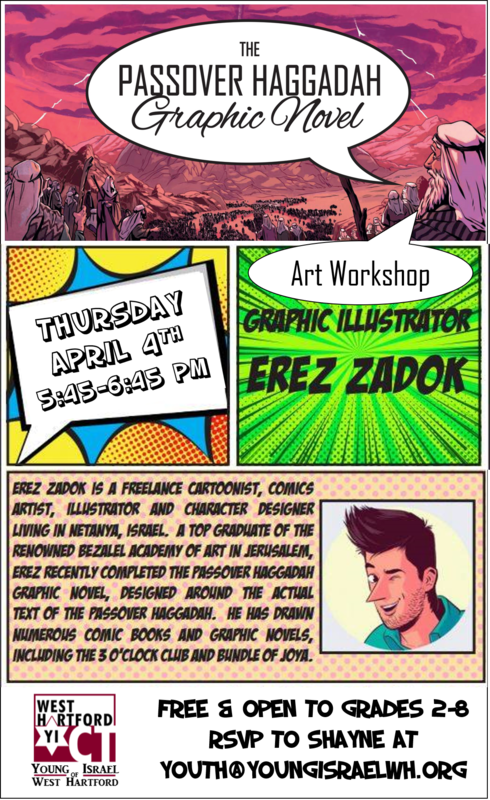 A top graduate of the Renowned Bezalel Academy of Art in Jerusalem, Erez recently completed The Passover Haggadah Graphic Novel, designed around the actual text of the Passover Haggadah. He has drawn numerous comic books and graphic novels, including The 3 O'clock Club, and Bundle of Joya.